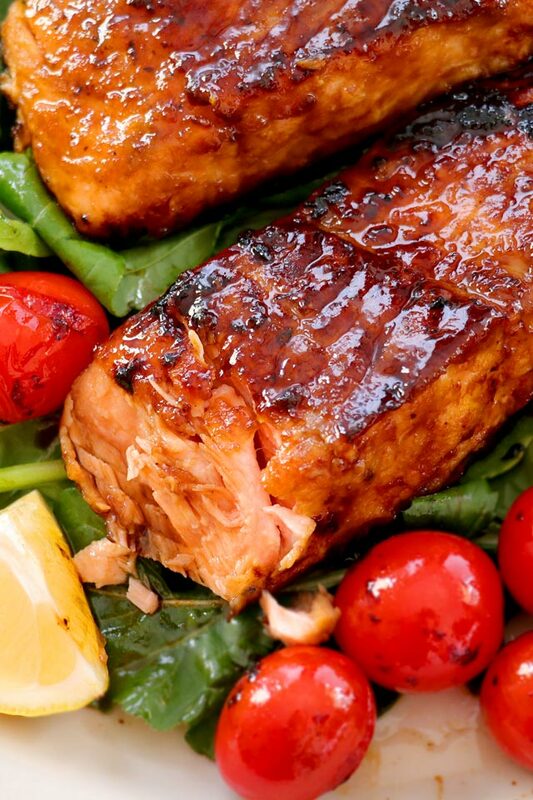 This honey-glazed Salmon with soy sauce will surely rock your world. Sticky-sweet with savory notes, pan-seared into crispy charred goodness on the outer edges while keeping the center tender and juicy. 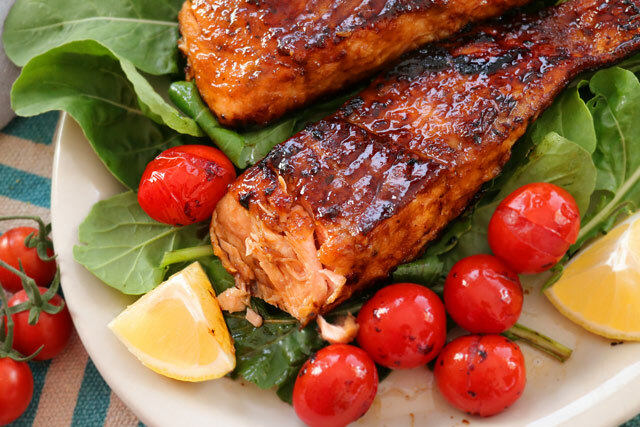 This is for sure my new favorite Salmon recipe! 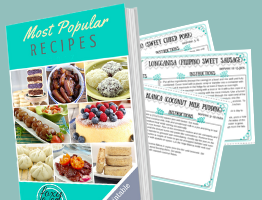 It is ridiculously easy to make, can all be done under 10 minutes from prep to cooking. 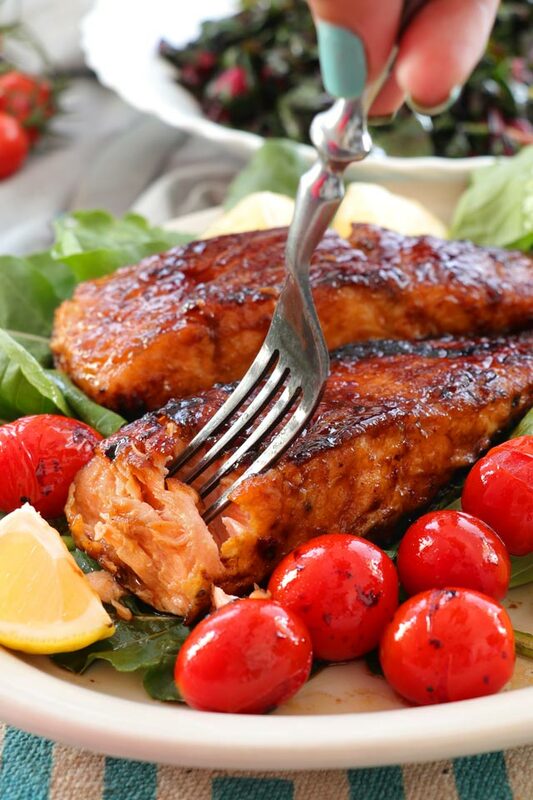 Best of all, you only a few ingredients to make this mouth-watering, restaurant-worthy salmon dish. What else can I say? I have to admit, I was in doubt at first. I mean honey with fish? Who would have thought that they would go so well together? Until one of our readers mentioned it, and it got me curious enough to give it a try. 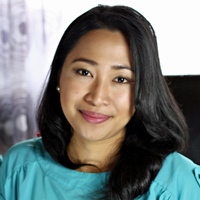 I found this recipe from Natasha which adds soy sauce to honey as a glaze. It was absolutely perfect. I also like how she dredge the salmon fillets in flour before brushing them with the glaze. This extra step ensures that the glaze clings to the fillet better while it is cooking. The honey-soy glaze is simply that…just honey and soy sauce mixed together. 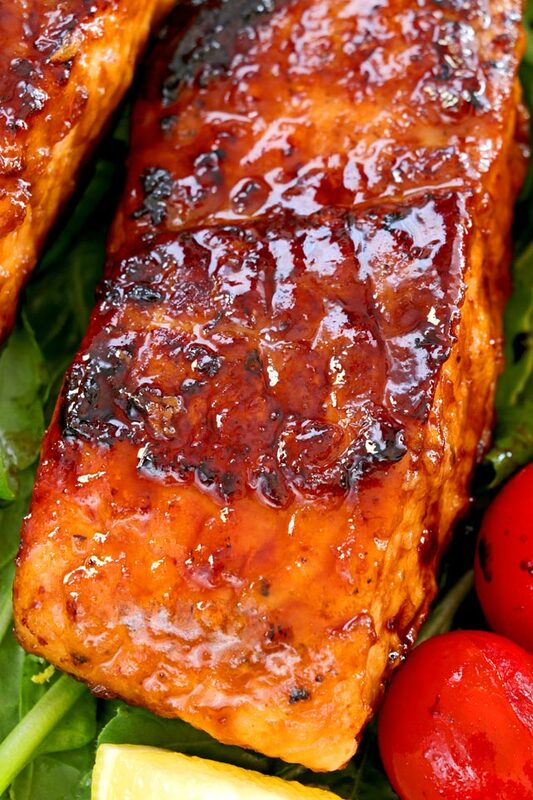 This sauce is used for glazing and basting the salmon before and while it is being seared. I used dark soy sauce for its thicker and darker color and a more full-bodied flavor. Prepare the honey-soy glaze by mixing them together in a bowl and set aside. Season your salmon fillets with salt and pepper. Make sure that all side are well rubbed with the seasoning. Dredge each piece of seasoned salmon fillet with flour. Shake off the excess. Brush one side of the fillets with the honey-soy glaze and place them with the glazed-side down on the hot skillet. Brush the top side with glaze as well. Cook each side for 3 minutes. This tasty Salmon dish goes well a simple steamed white rice. I also served it with Sauteed Swiss Chard that has lemon zest so it did not need any additional squeeze of lemon. It was really a perfect match. Any salad should go well with it. Try it with our Rainbow Salad with Avocado dressing or make your own Caesar Salad dressing to add to some lettuce. Roasted vegetables are also a good pair, check our Roasted Vegetable Trio of Beets, Parsnips, and Carrots or Baked Sweet Potato Cubes. No oven? Then try our pan-roasted garlic mushroom and baby potatoes. Sticky-sweet with savory notes, pan-seared into crispy charred goodness on the outer edges while keeping the center tender and juicy. 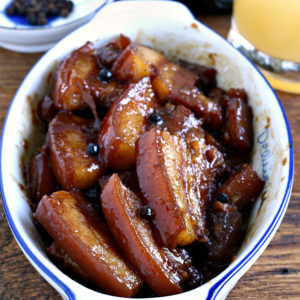 Prepare the honey-soy glaze by mixing them together in a small bowl and set aside. Dredge each piece of seasoned salmon fillet in flour making sure that all sides are covered. Shake off the excess. Heat oil in a skillet over medium heat. Note that the honey can easily burn on high heat. If it does, lower your heat. Brush one side of the fillets with the honey-soy glaze and place them with the glazed-side down on the hot skillet. While on the pan, brush the top side with glaze as well. 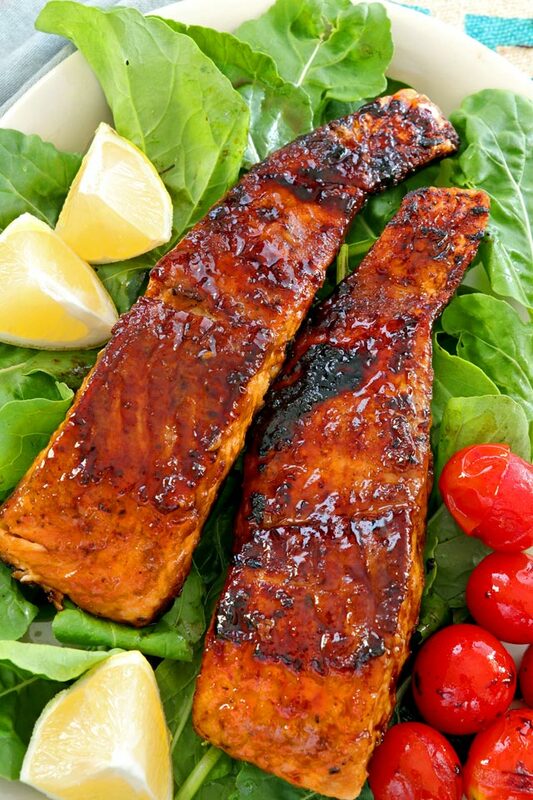 Cook each side for 3 minutes or until glaze has caramelized and the salmon fillets are cooked through. 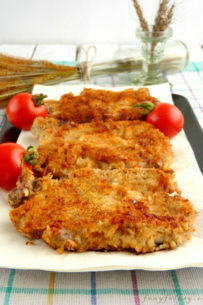 Remove the fillets from the pan and transfer them to a serving plate. Serve while still hot with your favorite side dish.